Mani Rimdu festival Trek is for those adventurers who desire to make a cultural journey into the Everest Region with Monasteries and Sherpa Cultural view. 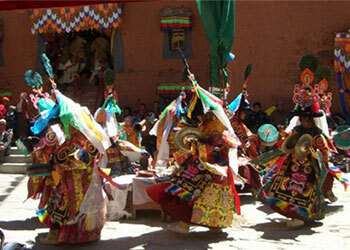 Mani Rimdu festival is celebrated by Sherpas and Lamas at Tengboche Monasteries of Solukhumbu district. The ceremony is 19-days sequence and series of events of empowerment with 3- days public festival. 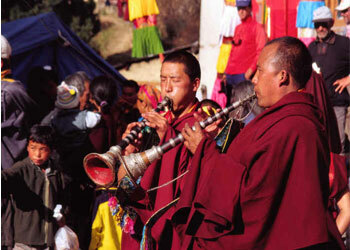 People from the Sherpa and Tibetan Communities gather and celebrate this festival with the Monastic community. Mani Rimdu festival Trek in Everest passes through the lush alpine forest and wildlife, raging glacial rivers and waterfalls, rough trails, mountains, and Buddhist monasteries. Along with trekking in the region surrounded by Himalaya peaks and culture enthusiasts, you will get to visit ancient monasteries and witness the cultural life of the Highland Sherpa’s. The highest prize of all is the Cultural trekking in Everest with the panoramic view of the peaks like the Everest (8848m), Mt. Lhotse (8618m), Mt. Nuptse and much more. We will also enjoy the Sherpa village and wildlife museums in Khumjung villages during this Trek. We begin our journey with a flight to Lukla and continues to the most magnificent and picturesque of eastern Nepal, Namche Bazaar. We pass through the villages interspersed with the forest of rhododendron, magnolia trees and giant first which are the major attraction of this trek. There is an excellent view of Kangpoche and Kwangde and to the north is the Nangpa La Thame Gompa situated above the village. During this Trek, you will have an opportunity to stumble upon with Barking Deer, Musk Deer, and the Himalayan Tahr or mountain goat. 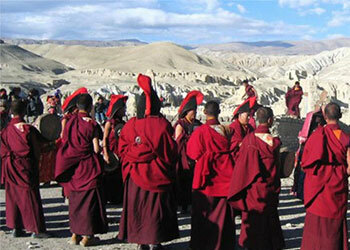 You will also have a chance to visit one of the active monasteries in Khumbu region Tengboche. We will also witness the Buddhist dance spectacle presented each year in the Khumbu region by the monks of Tengboche Monastery. Mani Rimdu Festival Trek is distinguished by cultural and traditional assets of unique Nepal. It offers the passage of different villages with the study of Mani Rimdu festival, traditions and lifestyle of the ethnic group living in those remote villages of Nepal. Best Travel Time: February to Mid June, September – November are the best seasons. Dec & January are Winter and cold can be snow on the trail, July & August are rainy time, trekking can be done but visibility can be poor due to rain and Lukla Flight may get canceled. After arrival at Kathmandu Tribhuvan International Airport and we transfer you to hotel. After having freshened up from long flight make a visit to our office. We will have briefing about the program and managing the other necessary documentations. If you come late, this will be done at the very next morning. After breakfast leave for a full day’s tour of sightseeing around the Kathmandu valley. On our guided journey visit center of pilgrimage Pashupatinath Temple and Swyambhunath, very ancient and enlisted in UNESCO World Heritage sites. The biggest Buddhist Stupa at Boudhnath might make you feel calm and peace. On journey back to hotel, you can enjoy the local areas and famous streets enjoying the local life style. Day 03: - Flight to Lukla and trek to Phakding (2,652m/8701ft). After having a 35 minutes scenic flight from Kathmandu to Lukla continue trek to Phakding, which takes approximately 3 hours on the way you will have a view of Mt Nupla(5885m) Kusum Kangaru (6367m) and mount kongde range. Overnight in Phakding. Beginning with a slight climb to Jhorsalle, the trail passes a waterfall. All day, we pass villages interspersed with magnificent forest- rhododendron, magniolia trees and giant firs. And on the way to walking you will be rewarded (weather permitting) your first glimpse of Kusum Kanggru (6369m) Thamserku (6608m) Everest (8848m) and Nuptse (7879 m). Take steep climb up to the beautiful village of Namche bazaar (3440m). Day 05: - Acclimatization day in Namche. Acclimatization is most important before proceeding to a higher elevation. It is therefore recommended that you take a short day’s hike to Thame, Khunde or Khumjung or relax and explore the sherpa culture of Namche. Today you will work through many prayer flags, mani walls and carved stones. After decending to the Bhote Koshi River the trail climbs steeply to Thame. You will have a good view of of Teng Kangpoche and Kwangde and to the north is the Nangpa La Thame Gompa is situated above the village. Mani Rimdu festival is celebrated here in the spring. From Thame we come to Khumjung which is about five hours working slowly. We stop at Kumjung where there is a school built by Hillary trust. The views of Amadablam, Thamserku and Tawache are really breathtaking from Khumjung. Overnight in Khumjung. The trail goes gently down to the Sanasa from where you will have a good view of Mt Everest, Nuptse, Lhotse, Ama Dablam, Thamserku and Kusum Kangaru. After having a lunch in Phungi thanga the trail steeply goes to Tengboche which is famous for its legendary monastery, the largest in the Khumbu region. Working down to Phungi thanga from here trail climbs again to sanasa. You will have a lunch at Namche Bazaar. After lunch continue trek down to Monjo. Early morning we will have exciting about 40 minute’s flight back to Kathmandu and transfer to your hotel. You will enjoy a free time with good hot showers and rest in the hotels gardens. We will drive to the airport for your return flight. Airport / Hotel / Airport pick up & drop by private car/van depends on group size. 3 nights Hotel in Kathmandu on a twin sharing bed and breakfast basis. Guided Kathmandu Valley Sightseeing tour with English speaking Tour guide and transport by private car/van. TIMS Trekking Permit (Trekking Information Management System) Card for the Everest Trek. Round trip flight ticket from Kathmandu to Lukla and back to Kathmandu. Twin sharing Lodges, Guesthouses accommodation during the trekking. 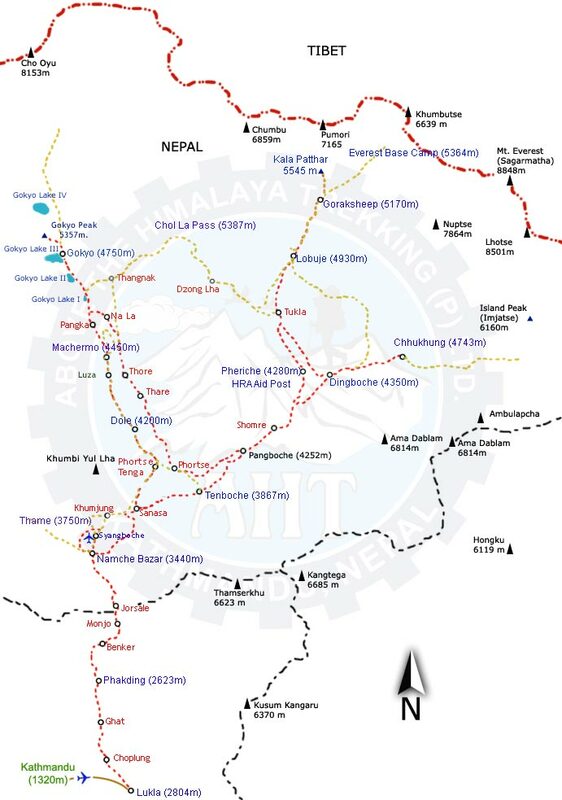 Food, accommodation, salary, local tax, all trekking equipment, and medicine for all trekking staff. Proper Insurance for all trekking staff including a porter. International/Domestic Airfare and Airport Tax, Sightseeing entry fee for the city tour. Any kind of drinks, hot and cold, hot water, hot shower, alcoholic and soft drinks.